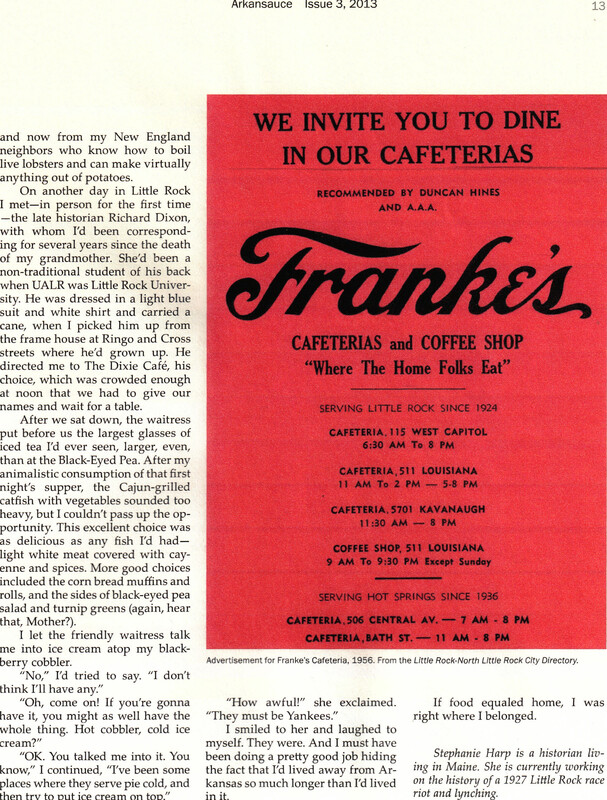 My remembrance of Southern food recently appeared in Arkansauce: The Journal of Arkansas Foodways, published by the Special Collections Department of the University of Arkansas Libraries. Special thanks to Tom Dillard. 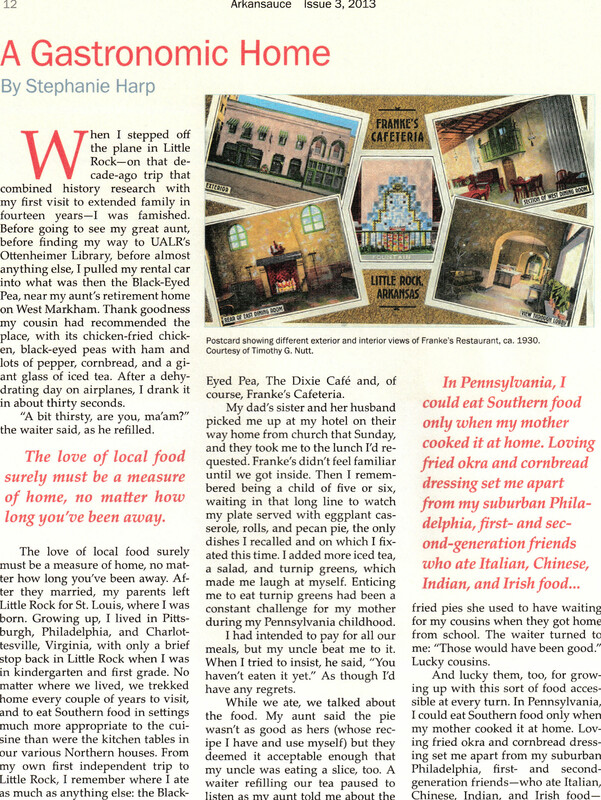 He and his wife Mary were guest editors of the 2013 edition. (c) 2013 Stephanie Harp. All rights reserved.